Previous dinners at Hearth can be seen here and here. 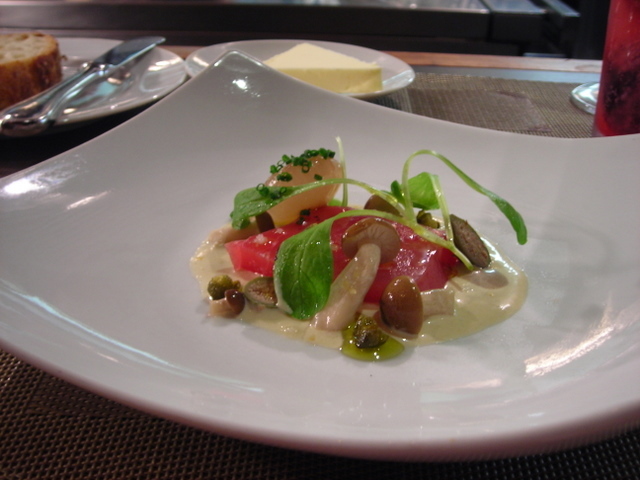 Big Eye tuna, capers, pickled mushrooms, vitello tonnato sauce. 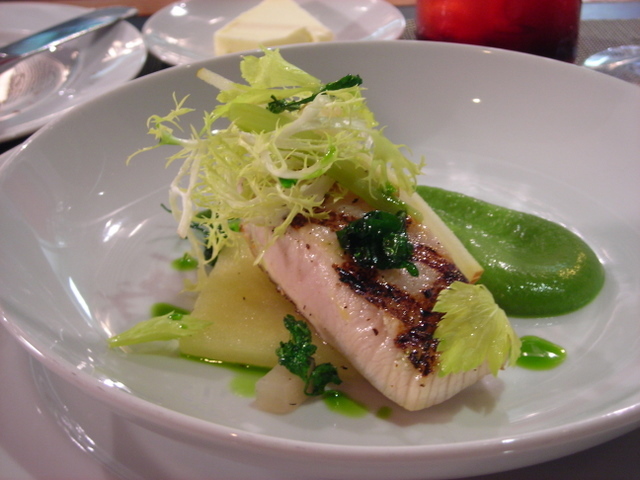 Seared hamachi, black radish, celery, Granny Smith apple. 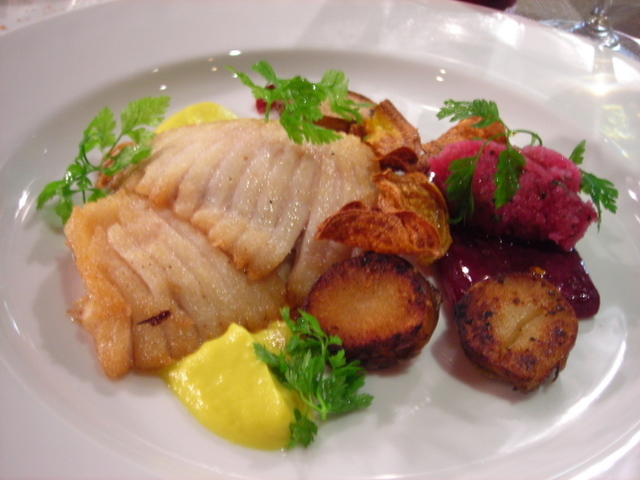 Roasted skate wing, sunchokes, sunchoke chips, beets. 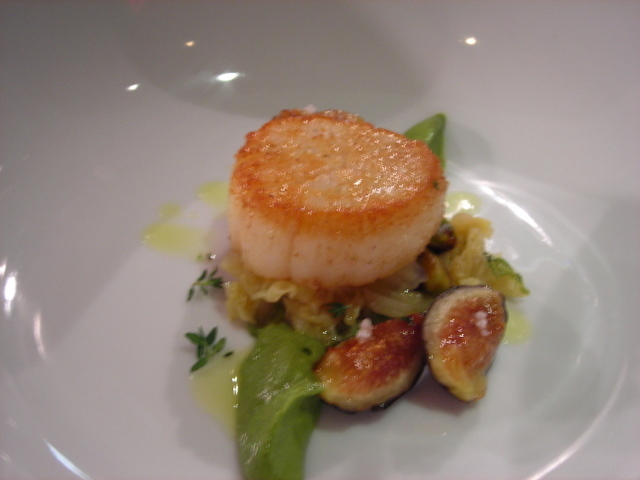 Seared scallop, Black Mission figs, pistacho, and braised cabbage. Pork three ways: tenderloin, spiced sausage, pork belly. 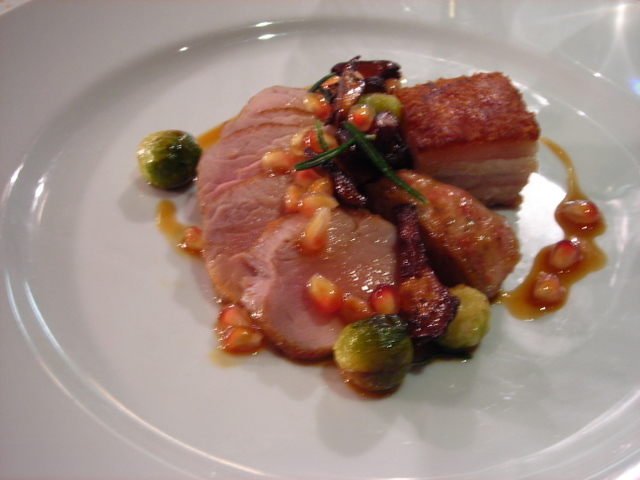 Served with pomegranate sauce, baby brussel sprouts and chantrelles. Buttermilk panna cotta, huckleberry compote. 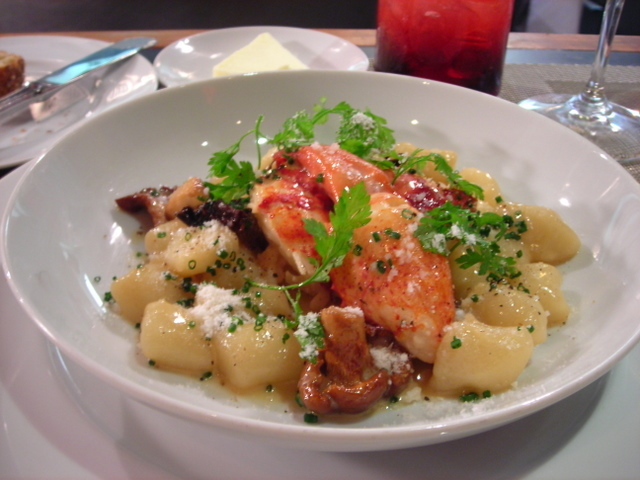 Hearth is located at 403 East 12th Street (1st Avenue) in the East Village. 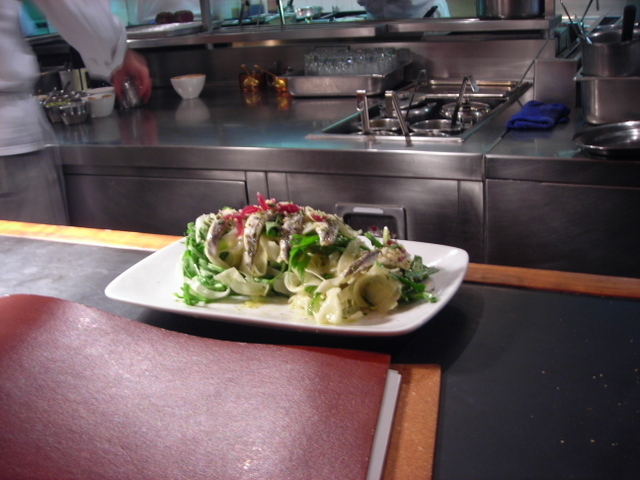 19 Oct	This entry was published on October 19, 2007 at 5:55 am and is filed under food, general, New York City. Bookmark the permalink. Follow any comments here with the RSS feed for this post.